Cloe is a beautiful marriage of function, natural appeal, and modern style. 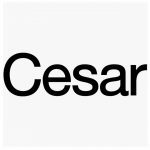 Cesar Kitchen Cloe features exclusive thirty-degree slanting edges on its doors and is also a debut star showcasing Cesar’s fascinating new process for innovative wood treatment. The result is a finish that enhances distinctive irregularities and other aspects of wood that give it its particular character. This innovative and exciting feature makes Cesar Kitchen Cloe perfect for spots that embrace modern style and natural hues. The natural wood discovered through this new process is beautifully paired with lacquers and colourful finishes for this kitchen.